This cartoon was published on Sunday, June 10, 1945. 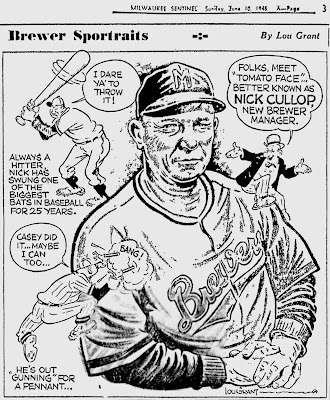 It was part of a series of short bios published under the name "Brewer Sportraits" by Milwaukee Sentinel cartoonist Lou Grant. 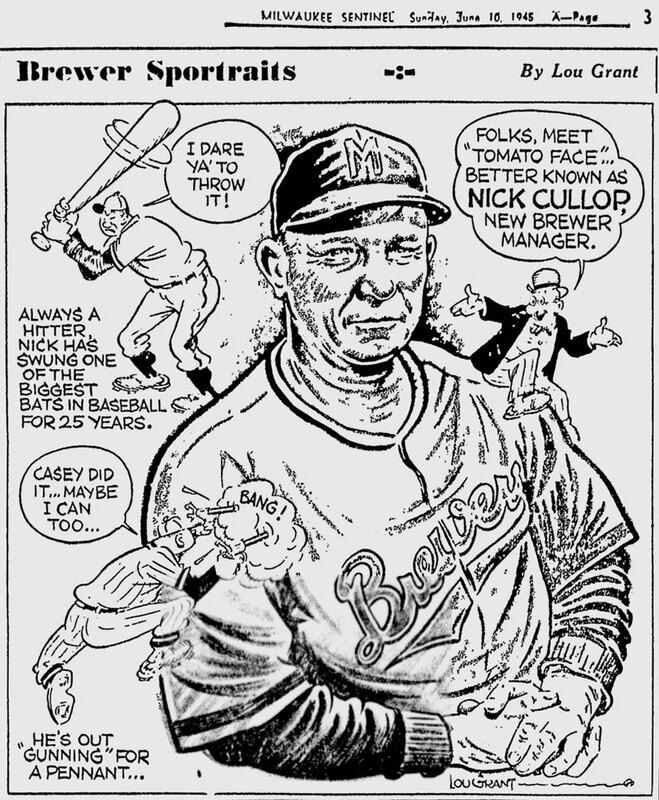 Nick Cullop joined the Brewers in 1945, following the departure of Casey Stengel. As the caption notes, Stengel won a pennant in his not-quite-full season at the helm, leaving Cullop some pretty big shoes to fill. Fortunately for Milwaukee fans, ol' "Tomato Face" was up to the task, and his Brewers took home a third consecutive American Association pennant in the 1945 campaign. The third manager in three years, Cullop brought stability to the franchise, and served as Borchert Field's skipper for five seasons.